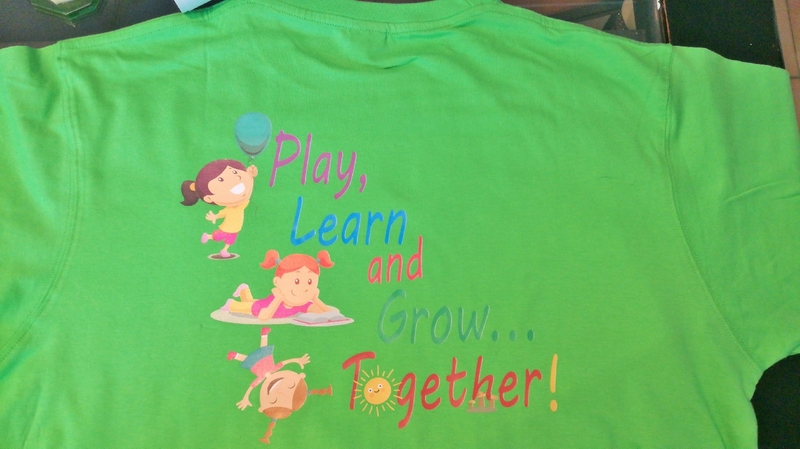 The heat transfer process starts when you digitally print in full colour on a plastic-like vinyl material that gets cut out in any shape and placed on a surface where it can be transferred with a heat press. With the heat transfer process, the transfer sheet would be pressed with 180°C – 200°C. This would be at a pressure of 1.6 bar against the surface where the transfer would be done. Videoflex offers two main options. Pigmented video flex (this option would not fade in colour and there are many colours to choose from) or to have the artwork printed onto white video flex (recommended when printing onto white shirts). When it comes to cutting out the Videoflex, either pigmented or printable, we have limitations. We would not be able to cut too fine a detailed design. The more detail there is the longer it takes to weed and the more it will ultimately cost. Therefore we do prefer to see the artwork and clarify the requirements before quoting. This has a faster turnaround time, compared to other printing methods. Images prints more clearly than other printing methods. On low quantities, Videoflex would be more cost effective than silkscreen printing especially when many colours are involved. Not all types of material can be used to Videoflex. Some people dislike the plastic-like surface of the Videoflex. It is advised that you shouldn’t iron, tumble dry, wash in a washing machine or dry clean heat transferred products. The best way to wash them are to wash them by hand in cold water. The colour also fades after a couple of washes (only with the printable option). Artwork with fine outline detail and sharp edges would not be able to be cut-out. The artwork however could be put in a white block (or other colour), and pressed as a solid artwork.